For years, we have engaged in an unusual ritual by making art when dining out. It is one facet of our art that spawned our collaborative ventures. These works capture creativity at its most playful state, resulting in surprisingly complex and impromptu sculptures borne of only the materials at hand. We use no tape, no glue, no scissors or tools of any kind! Once a part of our personal and private creative moments, we recently decided to share these events by documenting them through photography, sound and video. Each piece consists of a photograph or video documenting a work in situ, a display of select parts of the sculpture and the receipt for the meal. These works become public art at the moment of creation, a direct response to our surroundings and materials, the character of the restaurant and the ideas that emerge and transform over the course of the meal. Since the pieces are constructed of the detritus left after a meal, they can also be seen as reflections on a disposable society. 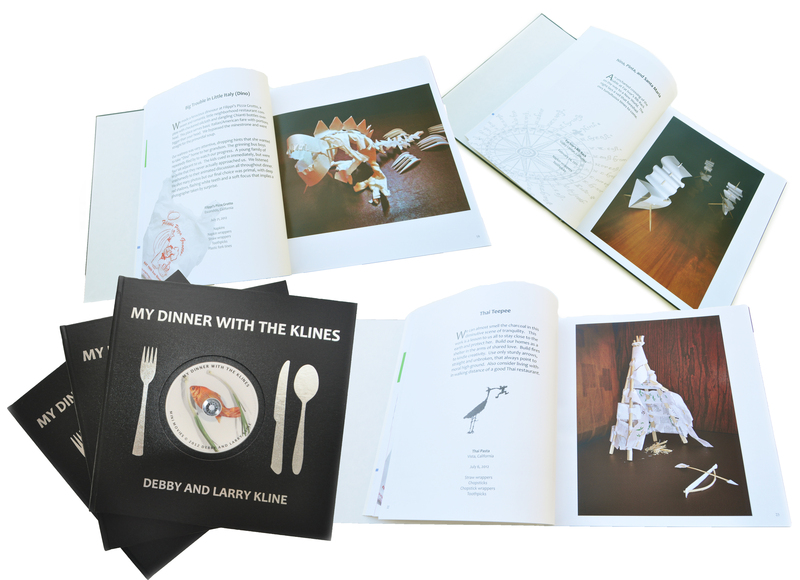 My Dinner with The Klines book and DVD set is here and available to the public at the low, low price of $250! 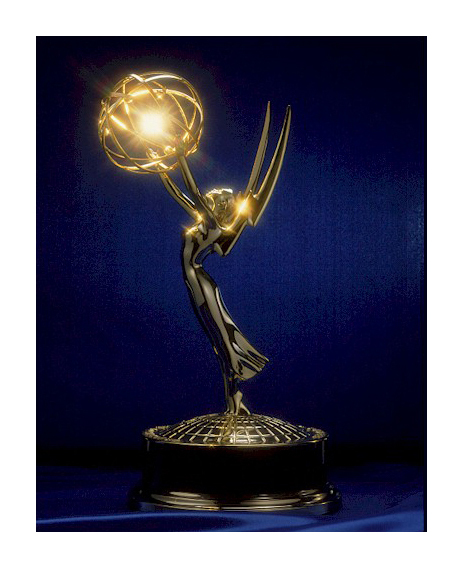 This 105 page book features the best of My Dinner with The Klines dinner sculpture photographs, stories and commentaries and 13 dinner sculpture videos with original soundtracks and musical scores produced by The Klines. And all of these images and videos were created in restaurants while we dined! We wish to thank those who contributed to our successful Kickstarter.com campaign (see below) to produce this beautiful limited edition hardcover book and DVD set. April 2, 2011 | Filed under Headers, Projects and Works and tagged with art about recycling, art from junk, art in restaurants, Artists made books, assemblage art, Book Art, collaborative art, collaborative art pioneers, conceptual art, David Antin, dinner sculptures, experimental art, fun and funky, hand made books, limited edition books, Recycled Art, restaurant art, suprising art, The Klines, video art.